If you’re planning a kitchen remodel in your Utica, NY area home, installing Corian kitchen countertops from Fahy Kitchens is a great choice. Fahy Kitchens has been in the business of creating beautiful custom kitchens for more than 40 years, and we want to help you choose the perfect Corian countertop for your new kitchen design and your lifestyle. Corian countertops not only look great, but they also perform well. They’re easy to clean and maintain, come in a wide variety of colors and visual textures and offer both stain and heat resistance. Because Corian countertops are so versatile, they’re a preferred choice of both homeowners and installers alike. What’s more, Corian countertops are available in more than 100 colors, so you’re sure to find just the right hue to perfectly complement your remodeling project. 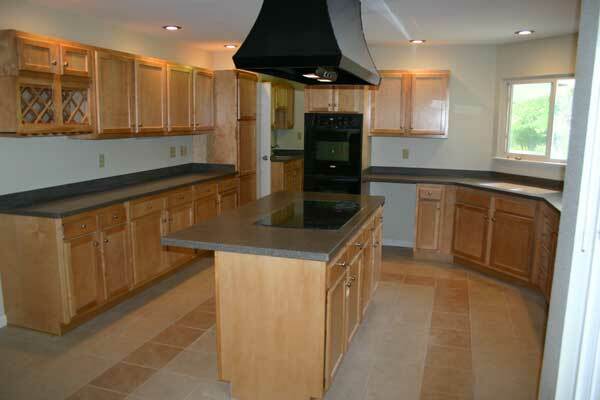 When you work with Fahy Kitchens, we’ll help you choose the perfect Corian countertop for your Utica, NY area home. In addition to providing top-quality Corian countertops in the Utica, NY area, Fahy Kitchens is also affiliated with the area’s best countertop fabricators, ensuring that your countertop will have a perfect fit and a look that will last. Whether you’re ready to replace that worn, chipped, cracked countertop or you’re seeking a whole new look, call us today at 315.735.8181 or contact us and we will be happy to set up a consultation with you.